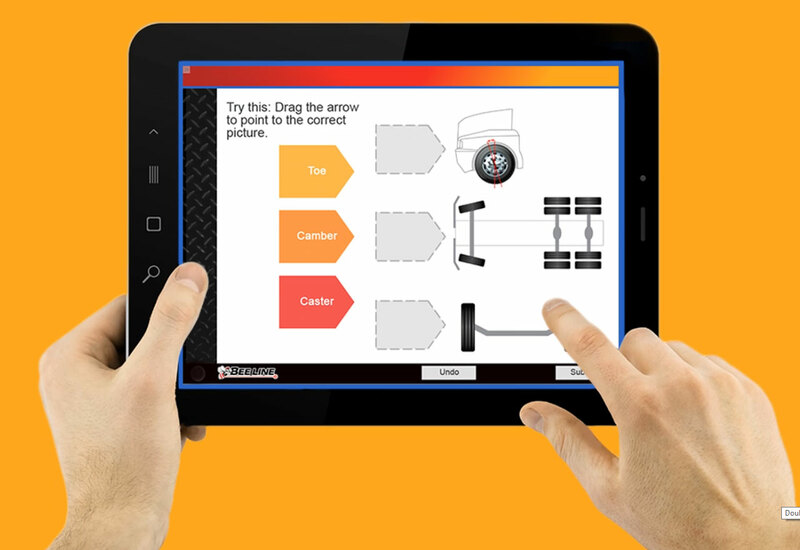 Bee Line Company offers training courses focused on the principles and techniques of performing computerized wheel alignment and truck frame correction. A fully equipped training center located near our manufacturing facility in Bettendorf, Iowa, provides the ultimate learning environment. With more than 90 years of experience in wheel alignment and frame correction, you can trust Bee Line to help you succeed. These training courses have been developed to advance a beginning technician’s skills to the next level as well as an experienced alignment technician who wants to refresh their skills and knowledge. Bee Line offers high-quality, hands-on learning opportunities at our fully-equipped training facility or on-site at your location. These are great choices when you need advanced training or have a group that needs training. And for those super-busy times, or when you just need to bring a new tech or newly-promoted tech up to speed with Bee Line alignment, we’ve got you covered there, too. 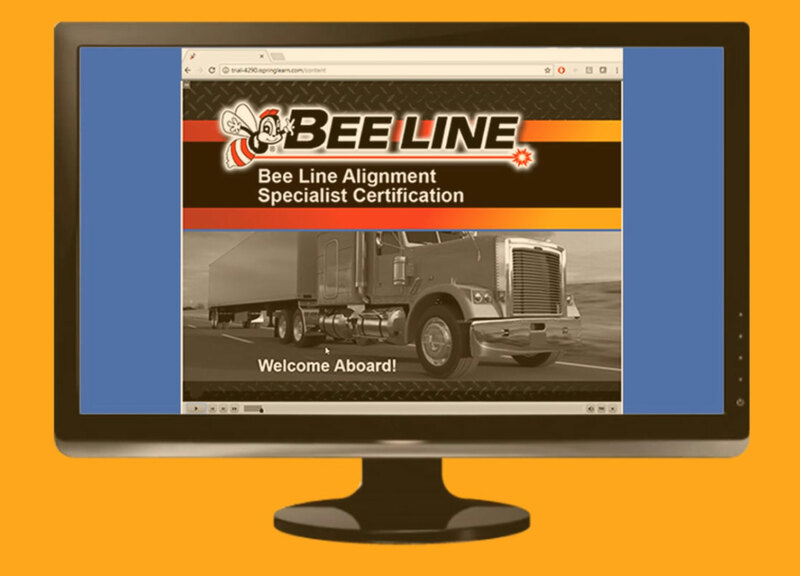 Introducing the Bee Line Alignment Specialist Certification Program: Online, computer-based learning for your shop technicians! Calibrating and using Bee Line equipment to complete alignment gauging On The Floor. 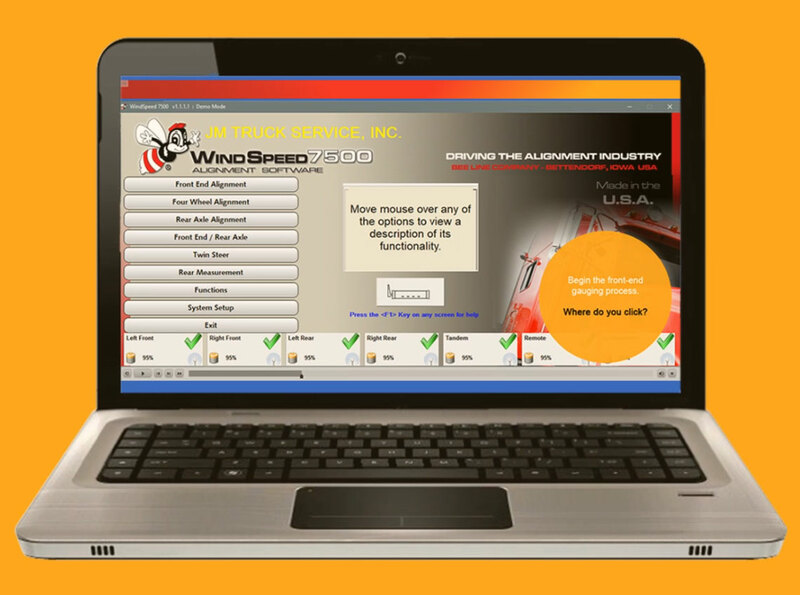 Making the most of the Windspeed software application to ensure accurate alignment. Maintaining Bee Line equipment to maintain your investment. The nearly three-hour program is rich with graphics-based interactive instruction, how-to videos, and animations. Printable worksheets get a tech out onto the shop floor, working directly with the Bee Line equipment. 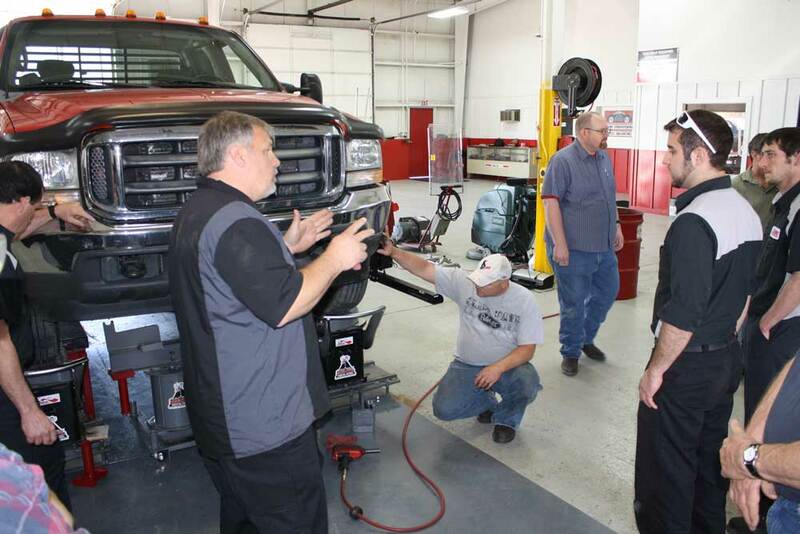 Pro Tips offered throughout the program add insight and insider knowledge from experts in truck alignment. Software training walks the tech through the step-by-step of using Windspeed, then gives them a chance to practice on their own and at their own pace! Two quizzes and a final exam reinforce the instruction and give your tech a chance to show-off all they’ve learned. When a tech has completed the program and passed the final exam, they’ll be a certified Bee Line alignment specialist, and receive a certificate commemorating their achievement. This training course is designed to teach the principles of alignment theory, vehicle (suspension system) inspection and equipment operation to an individual with one year or less service technician experience, as well as an experienced alignment technician who wants to refresh his skills and knowledge. The course provides an overview of suspension and steering systems with detailed instruction on performing proper inspection procedures. Bee Line’s 5-day Alignment Course is broken into two components: classroom instruction and hands-on training. Among other things, participants will receive an overview of alignment equipment and learn about calibration, diagnostics and the benefits of axle correction in the classroom setting. The hands-on portion will teach students suspension and steering inspection, demonstrate Bee Line’s exclusive computerized system and show how to measure camber, caster, toe and tracking. 1. Describe the effects that improper wheel alignment will have on tire wear and vehicle handling. 2. Recognize factors that have the largest impact on alignment, including camber, caster, toe and tracking. 3. Operate computerized alignment systems to perform measurements. This training course is designed to teach the principles of truck frame correction. Participants will learn to diagnose, set up and correct common frame misalignment conditions in heavy duty trucks and trailers. It is designed for an individual with one year or less correction technician experience, as well as a seasoned technician looking to refresh his skills and knowledge. Bee Line’s Frame Correction Course is 4 days long and combines classroom instruction with hands-on training. Classroom highlights throughout the curriculum include teaching students about personal and equipment safety, basic frame damage conditions and diagnosis of misalignment by utilizing measuring and gauging procedures. In the hands-on portion, students will learn “cold-working” techniques, repair methods, equipment set-up and use, correction evaluation, Advanced Aligner System operation and frame reinforcement procedures. 1. Recognize the factors that have the largest impact on alignment. 2. Diagnose and set up misalignment corrections, including side sway, twist, sag and diamond conditions. 3. Operate Bee Line Advanced Aligner Machine to perform measurements and corrections.